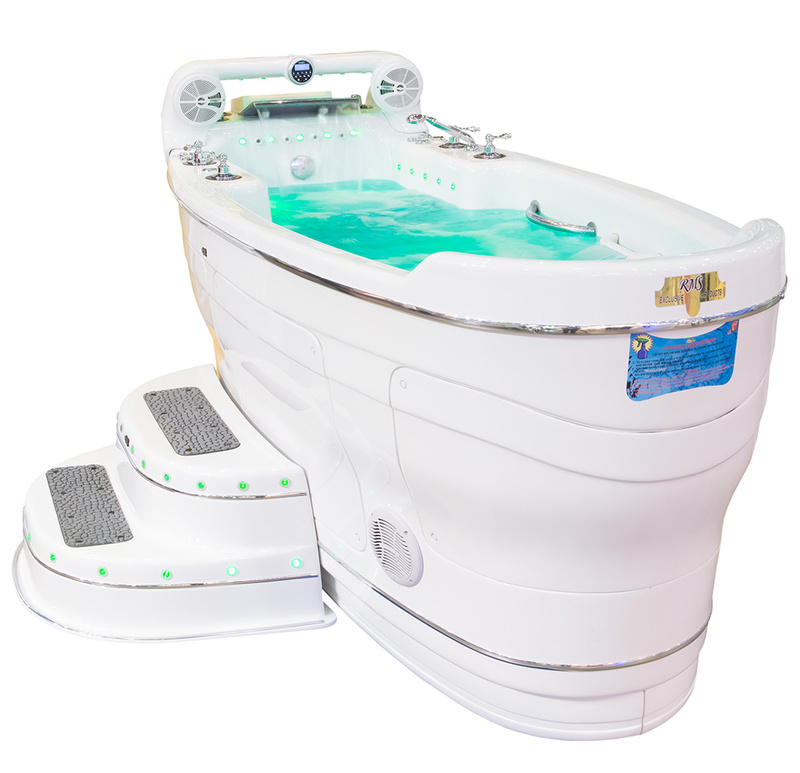 C-280 T-REM ME-08 Hydrotherapy Tub offers a luxurious retreat from everyday stress. Its design philosophy combines beauty, craft and functionality. Elegant boat-shaped body and enormous amount of interior space create comfortable environment for anybody, including very tall and plus size people. C-280 T-REM ME-08 features 3HP extra quiet motor, creating a dramatic increase in both massage intensity and comfort level. C-280 T-REM MB-08 delivers a spa experience like no other. C-280 T-REM ME-08 features RMS exclusive INTELLI-TUB TM software. RMS® tubs are oversized, anatomically designed and beautifully finished for highly comfortable hydrotherapy treatments. The interior tub design virtually eliminates body weight, striking the perfect balance between straight line comfort and best functionality.